Photo by Jourdan Miller |CIGAR| Jair performing his original music during his DJ set. 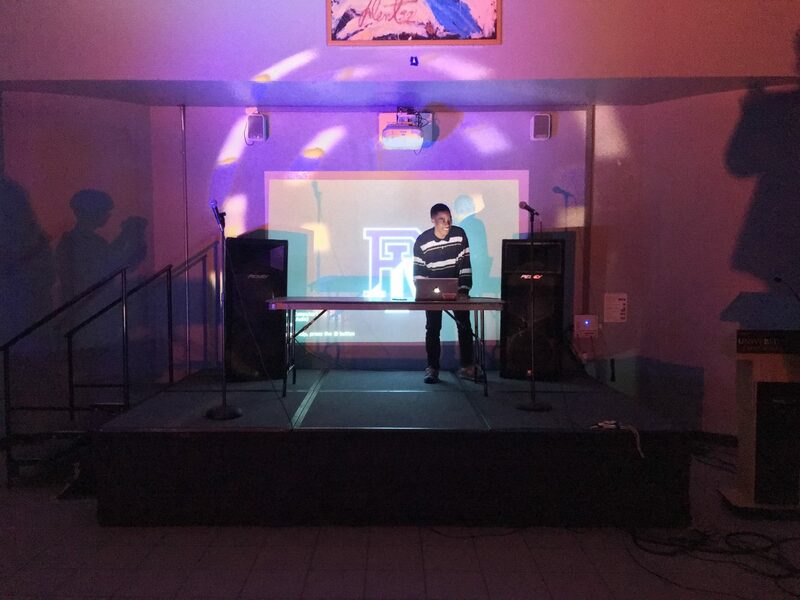 This past Friday night, Feb. 23, the Musician’s Guild held a hip-hop concert in the Memorial Union on campus. The concert featured four main performances from Jair, Oceans Music Group, Mari Geti and Hamad. “We book all kinds of different musicians all around New England,” said Munrayos. The group holds events like this once or twice a week. Jesse Yelin, the president of the group, described the the Musicians’ Guild as a whole as a kind of family. The Musicians’ Guild has done a lot for Jessie, he says. Being involved with this group allowed Jessie to be introduced to a majority of the friends he associates with currently and helped him further understand how URI, as a school, works. Being involved with the guild has also encouraged Jessie to take more chances and put himself out there for the world to see. The Musicians Guild has a number of different events coming up, most notably an indie rock concert on March 30. Details about this event can be found at a later date on the URI Musicians Guild Facebook page.